Become an expert using the tool or be willing to learn alongside your students. Model for your students by creating your own blog. Expose students to blogs you find worthy of sharing and ask students to share blogs they find worthy of sharing. Students don’t have to author their own blogs immediately. 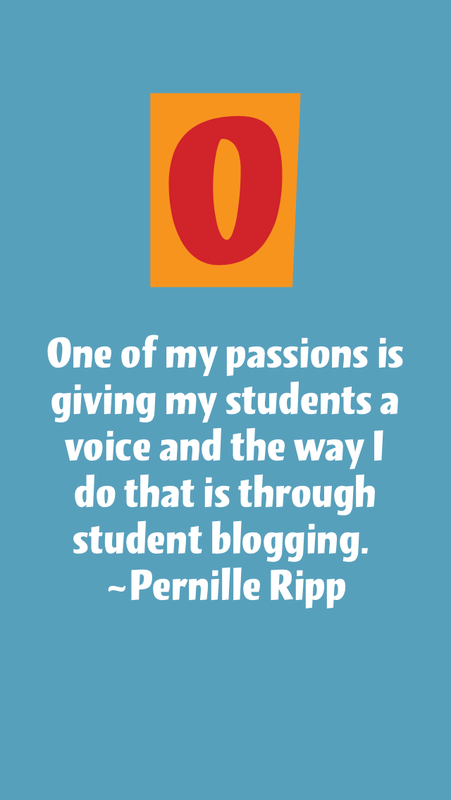 Exposing students to blogs will teach them how and what a blog is all about. Take your time and you and your students will find your “right way”. For more information and inspiration, Pernille Ripp is one of my #EduHeros Her love and passion for her her students shines bright. Whenever I get the chance to see her speak, I am front and center. The stories she shares spark enough emotion for the room to pass the tissues around. She is a true believer in student blogging. 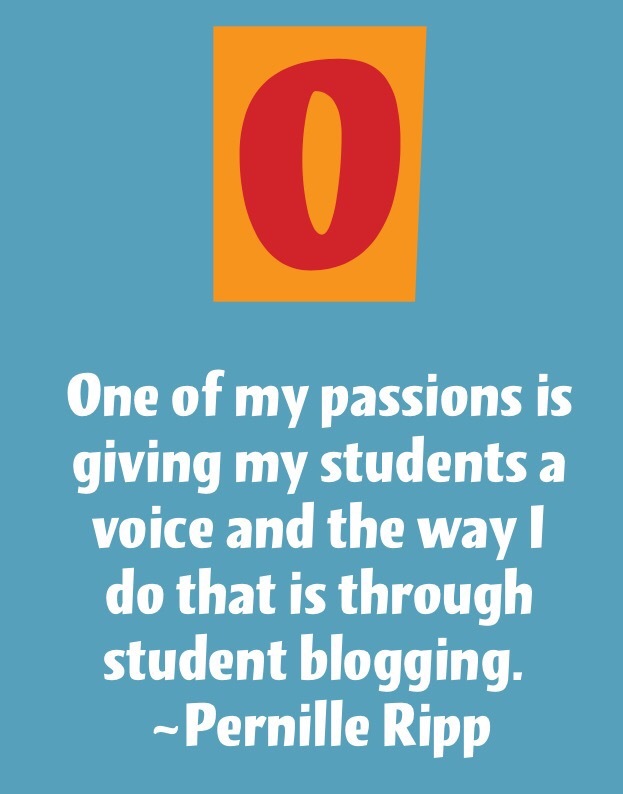 One of my passions is giving my students a voice and the way I do that is through student blogging. Her website is a wealth of information. Make time to learn from her, you won’t regret! I think one of the best blogging tips that I’ve ever given to teachers who want to blog with students is to create a page of OTHER student blogs for kids to explore during SSR time in schools. The only rule that I ever had was that kids reading blogs for SSR had to leave a comment in response to any post that they read. By giving kids the chance to easily browse blogs written by other kids, I exposed my students to topics and formats that they may have never considered before — and by writing comments, I was encouraging “first draft thinking.” Later, I’d encourage kids to turn blog comments into longer posts on their own blogs. I hope the answer to that question is yes — if we find and sort and organize lists of other student bloggers, this work gets a lot easier for classroom teachers. Thanks for your advice. I agree that reading other student blogs is very important. As of now there is no student blogging list of WCPSS students. It would be a great idea to start compiling one. I serve 3000 students. I’ve only ever known of one student, Maggie Royce, who ever consistently blogged. I always used her as an example of students who blog. Maggie continues to Blog through high school and has really made a name for herself. I will get that list started and share out! Great post, Melanie. So many thoughts on this. First, when you consider the phrase “student blogging,” I think many educators have to embrace that students already live in a digital world, even if we educators did not (as much) in our upbringing. We need to be about enhancing and transforming learning experiences with technology, because our students are living digitally—even if we’re uncomfortable at times. Second, when I see you middle school teachers interacting, it makes me wonder what we elementary teachers should be doing to better prepare our students for blogging and exploratory learning opportunities. Thanks for making me dig deeper, again.